Is a must! 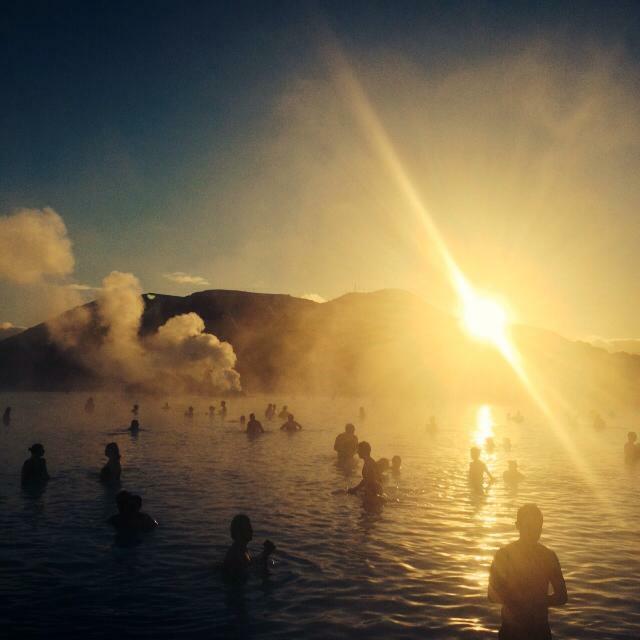 There are alot of articles written about other places that you can go in Reykjavik but the Blue Lagoon is perfect in every sense. Again our bus transfers and pick up from the hotel were included in the package, all I had to do was to remember all of the bits of paperwork and our swimmers! The Blue Lagoon is quite close to the airport so alot of people “stop off” here on the way home. It was the BFF’s birthday on our first full day so what better way to start our trip and celebrate another year older by a wallow in the Blue Lagoon. Transfers were seamless as we were becoming accustomed too. On entry to the Lagoon you are given a plastic wristband which also has the mechanics to open and lock your locker and record any spendings you make at the spa or cafes/bars. Genius! Armed with our fluffy towels, bathrobes and swimwear adorned we braved the cold weather. A very quick de-robe and a careful little run to the stairs and finally engulfed in the beautifully hot waters of the lagoon. It really is BLUE too! It’s just beautiful. I shall let the pictures show you just how much. The floor of the lagoon is kind of sandy but at some parts it was really gloopy. I must admit I freaked out in parts it just felt really weird haha. Parts of the lagoon get really hot too, this is more noticeable for eyeglass wearers such as myself and they steamed up. I don’t think there could have been a more perfect way of celebrating the BFF’s birthday than sipping on strawberry sparkling wine whilst taking in the perfection of the lagoon…. or maybe there was……. next on the days agenda was our trip to search for the Northern Lights! There are lots of different ways to try and hunt for the lights. Boat, bus, private jeep, hire a car – we were booked on a boat tour for three hours on our first night. I had read that the best times to see the lights were Nov-Dec or Feb-March. So not January…… Ah well. We came prepared not to see them and any glimpse of the aurora borealis would be a bonus. The conditions for spotting them is generally a clear sky. The sky had been clear all day so we were hopeful. Again, our transfers to the Old Harbour were seemless. There was one large boat, or rather a ship. Then a smaller boat. The larger vessel was already full so we boarded the smaller boat. Avoiding all of the ice patches on deck we took our position. It was freeeeezing! Obviously we were well rugged up. Thermal leggings, thermals tops, jumpers, scarf, hat, gloves and a flask of whisky in hand haha. So the boat leaves the harbour and chugs back and forth infront of the mountains. Three hours are dedicated to try and spot them. About an hour into the trip and our guide announced that if they do appear they will be about for at least 5 minutes to up to an hour so we wouldn’t miss anything. We took that as our cue to go downstairs and warm up with a hot chocolate. Needless to say in the three hours we were out we didn’t see the lights and the waters had also started to get a bit choppy. We were given a voucher to come back the next night and try again. Unfortunately (or possibly in our minds fortunately) the next night and the following night the tours were cancelled. We experienced high force gales during the day, so much so that the BFF at one point had to grab onto a lampost to stop herself from being blown away and there was complete cloud cover so it was obvious come about 6pm when we enquired at the hotel reception the tour was indeed cancelled. So we leave Iceland without having seen the Northern Lights. Disappointing but on the positive side it now means I have an excuse to go to Norway to try and see them there! Our last full day we were booked on a full day coach tour of The Golden Circle. The Golden Circle is a route from Reykjavik to Central Iceland and back again, approx 300kms. We were to visit Gullfoss waterfall, Strokkur geyser and Þingvellir National Park. The winds had picked up again and according to the weather channels it was 4c but felt more like -7c. The snowfall just before our arrival in the country had now turned to sheets of ice and the sky was white all day. At least we were suitably dressed – we had barely taken off our snowboots since arriving and we brought plenty of thermals to keep us right. First stop was a tomato farm! Haha, a little unexpected but then I can’t remember the last day trip I went on and we didn’t stop somewhere that showed a local experience. Despite it being a random stop it was quite fascinating. We met the farmer and he told us about the farm. 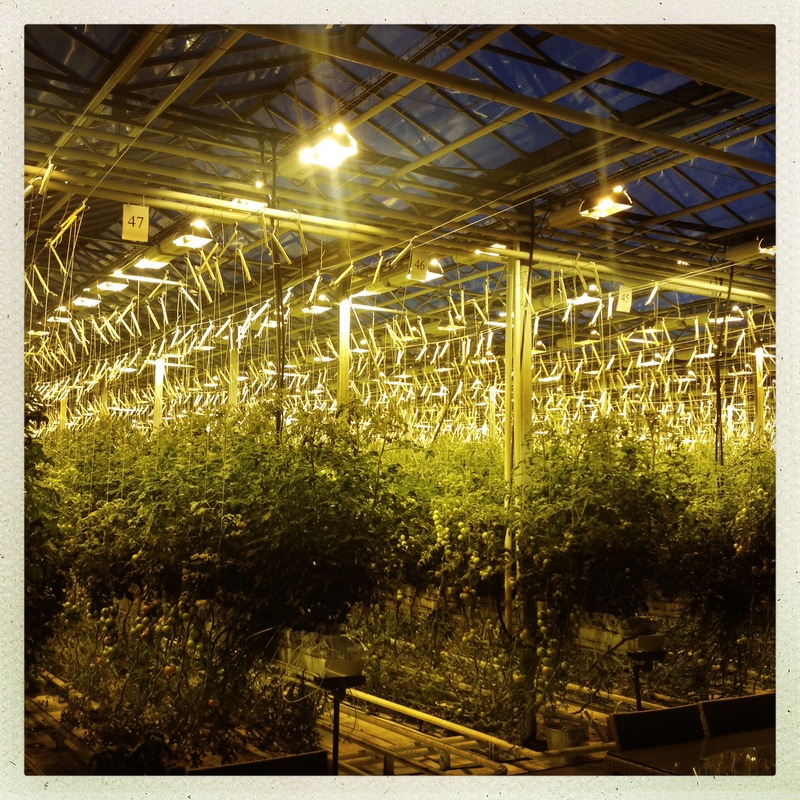 Obviously it’s winter…… so the massive industrial sized greenhouses are heated for 17 hours of the day. Our immediate thought was that it would cost a fortune to heat! Forgetting that they use the natural resource of the hot springs for electricity. They don’t use pesticides either. They use the cold water from the springs which is completely clean and they buy boxes of bee’s from Amsterdam to pollinate the tomatoes. There’s a lovely little gift shop and the opportunity to buy some tomato soup and fresh bread as a quick warming snack. Second stop was Gullfoss waterfall. This was one of the places I had most wanted to see. However the wind was so strong it kind of impeeded our experience. Sheets of ice with some grit over them led us to the upper viewing point. The wind was so strong I nearly lost my hat, I could barely bring my camera up to take photos and all we felt we could do was literally plant our feet firmly to the floor and try and make sure we didn’t actually get blown into the waterfall. Once we could catch our breath we ventured down to the lower look out point but again, battling against this sort of wind which literally pushed you along the ice made it very difficult to enjoy. Still the one of the pictures I managed to get makes it look amazing. I shall definitely visit again if I come back in summer time. 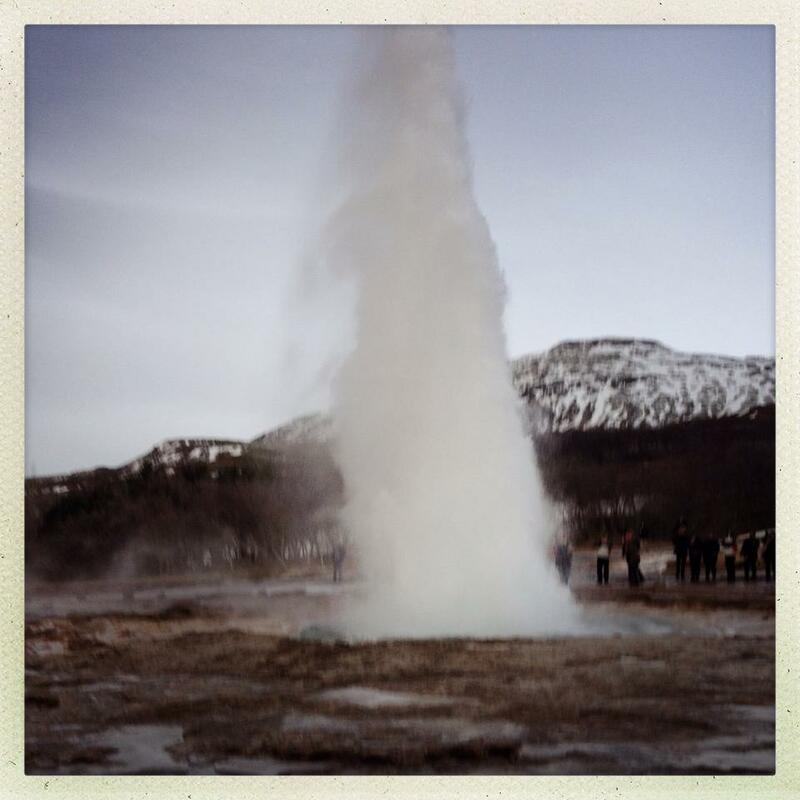 Next stop was the geothermal area which included Geysir and Strokkur geysers. Geysir has been inactive for years, however Strokkur geyser goes off about every 6-10 minutes. Many moons ago the first geyser I had seen was Old Faithful in California. My second experience was Pohutu Geyser by Rotoura, New Zealand. As the geyser didn’t errupt too often they pour soap powder into the blow hole to make a chemical reaction for it to blow. This didn’t really impress us and felt we had been a bit cheated on the ‘experience’. However, this time we were in a national park with no soap powder required, just the will to stand in the cold and wait. Sure enough about 5 minutes in and she blew. Our lunch stop was at this park. They have a ‘fast food’ type restaurant and a more upmarket restaurant. Some of the groups stop at Gullfoss to eat. I heard that the lamb stew is amazing there so if you do get the opportunity then eat at Gullfoss. Our food was fine at the Geothermal park, it filled a hole and warmed us up but nothing too grand to write home about. Our final main stop was at Þingvellir National Park. This is where Parliament was established way back in 930. It is also the area where the continental drift between the North American and Eurasian Plates cut through the rocks and in some cases create canyons. We stopped at one of the rifts where the water is so clear you can clearly see all of the coins that tourists have thrown in that have landed on the river bed. There is a large canyon towards the back of the area where we stopped but there was alot of ice covering the path ways and we figured by the time we had pigeon footed it there we would be late back for the coach so we took a few obligatory photos and then seeked refugee back in the coach. A quick stop at a view point overlooking the whole of the park and then we were on our way back to Reykjavik. The coach dropped us off at all of our hotels and we were lucky we made it back pretty much on time. We heard rumours that the day before because of the condition of the roads and the wind they didn’t arrive back till midnight!